There is a traditional tank-type water heater for every budget and lifestyle. Tank water heaters have been providing families with a reliable source of hot water for over a century. Providing hot water solutions - same day! When it comes to hot water, DRF is the expert. When replacing your current water heater you have two basic solutions, a traditional tank water heater or a high efficiency tankless water heater. Tank water heaters are a quick fix. DRF can perform same day installation and the typical tank water heater can last anywhere from 6 to 10 years. 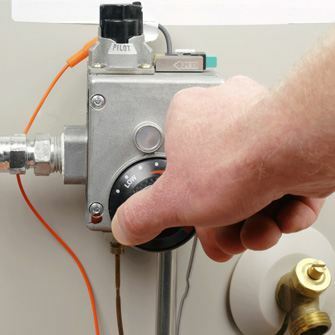 Or is a tankless water heater the right solution for you? Is the water heater really leaking or is it repairable?